Janet May Vnook, age 58 years, of Lynn died Sunday Jan. 6th, at Salem Hospital after a brief illness. She was the longtime companion of Brian D. Lothian of Lynn with whom she spent over 30 years. Born in Revere, she was the daughter of Karin H. (Lendfahrt) Vnook of Lynn, and the late Juluis Frank Vnook. Janet attended Lynn schools and North Shore Community College. She was employed as Photographic Technician at New England Color Photo Lab for many years, and retired as a Book keeper at O E. M. Direct in 2018. 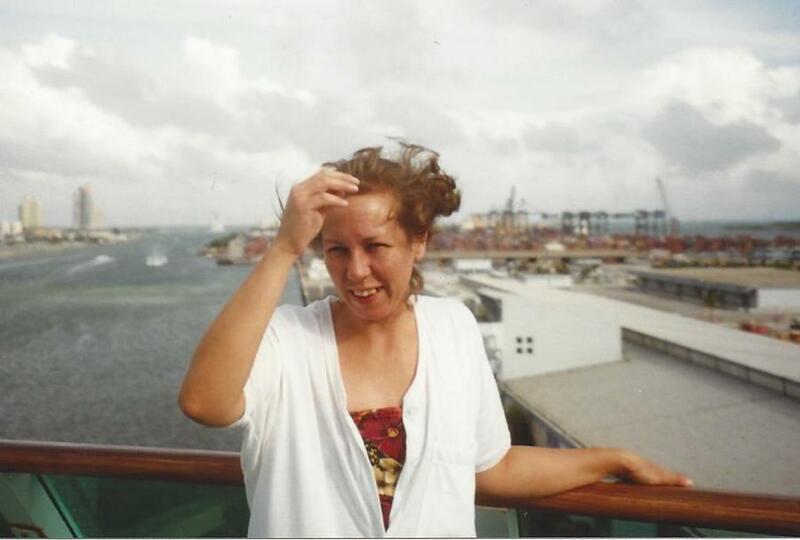 Janet’s greatest passion was traveling and going on cruises, her favorite destination was Puerto Rico. She also was also a pet owner and loved her four dogs, they were like her children. In addition to her mother and Brian she is survived by two sisters Lorraine Bucklin of Marblehead, Dorothy Kotter of Munich, Germany, and two nieces Danielle and Adrien Bucklin. Service Details: Memorial services will be held at the Parker Funeral Home 35 Franklin St. Lynn on Sunday Jan. 27th from 1:00 – 4:00 PM to which relatives and friends are invited to attend. Please make memorial donations in Janet’s name to the Northeast Animal Shelter, 347 Highland Ave. Salem, MA 01970.